Not everyone has a perfect smile though, sometimes, that’s not so evident. Television shows us individuals with the earliest, straightest teeth ever. Magazine ads inundate us with amazingly brilliant smiles. But truth is that we don’t all achieve a perfect set of 32 teeth by the time we’re adults and, often, we require the help of a skilled cosmetic dentist to help make that smile look better. 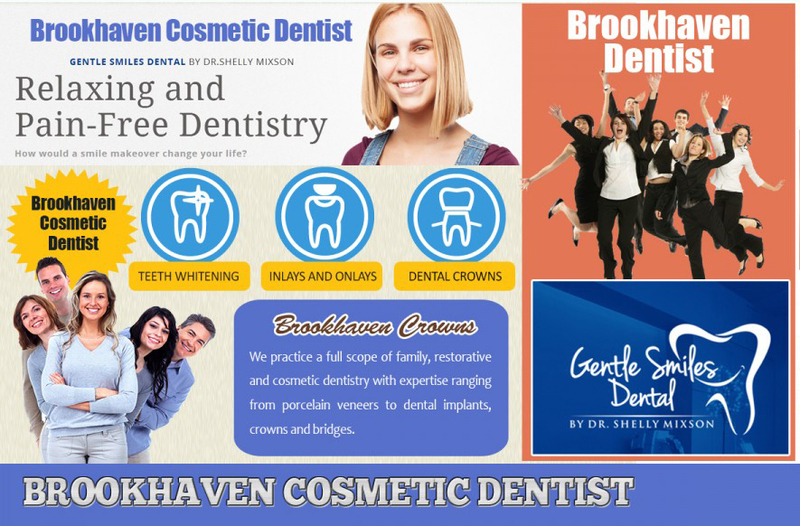 Dr. Shelly Mixson is a Brookhaven cosmetic dentist who is well-versed in the techniques that will not only improve your smile but make your mouth healthier as well. Her training in the field makes her qualified to offer a variety of special services that will give you confidence each time you show your lovely teeth. Tooth extractions, which are sometimes necessary for a variety of reasons. 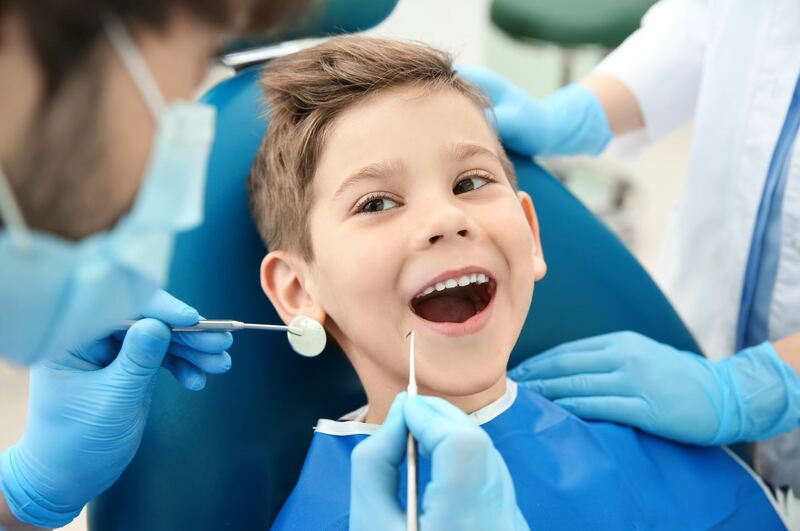 Of course, “gentle” extraction techniques are used at Gentle Smiles Dental! Bonding, a quick and inexpensive way to approve the appearance of a tooth. Completed in just one visit! Porcelain veneers, a popular and permanent way to achieve that “Hollywood smile” using thin shells of ceramic that are attached to the front surfaces of the teeth. Not sure what’s next in your dental journey? Uncertain about the cost of these and other dental procedures? Take a moment to make a call to Gentle Smiles Dental Practice and schedule an appointment to meet with Dr. Mixson about your concerts. Also schedule a time to speak to a member of our staff about how we can make your dental visits affordable, relieving much of the stress associated with taking advantage of the restorative and cosmetic procedures Dr. Mixson offers to Brookhaven-area patients who want to improve their oral health. An excellent and cost-effective way to make the teeth look straighter, bonding involves the application of a composite resin (that is made to match YOUR teeth) to teeth that might be chipped, decayed, or fractured. It can also be used to make teeth look longer, to change the shape or color of a tooth, or to fill gaps between teeth. It may also function as a cosmetic alternative to fillings, particularly those old amalgam fillings. Bonding usually only requires one office visit after the initial consultation. Dental veneers are designed to be adhered to existing teeth, providing a beautiful, natural look that can vastly improve one’s smile. While they’re certainly not inexpensive, they do provide one of the best end results of any cosmetic dental procedure. They can correct a variety of problems including misalignment, chipped or cracked teeth, gaps, and stained or worn-down teeth. Veneers are strong and durable and will last for a long time with proper oral health management. Adults don’t want to deal with clunky metal braces that come with rubber bands in a variety of colors! Instead, an adult who needs to straighten their teeth – whether a little or a lot – can opt for clear braces that align the teeth without all the fuss. With ClearCorrect, a series of invisible aligners fix the problems gradually, with total treatment time sometimes as short as 9 months and up to about 2 years. It’s a wonderful option and often costs less than traditional braces. Do your teeth simply need a bit of a pick-me-up? Whitening might be the answer. While over-the-counter whiteners work for some people, the methods employed or recommended by Dr. Mixson will likely provide a more marked improvement in your smile. Furthermore, these methods are safe for your teeth and for your overall health unlike some commercial products, which include ingredients you shouldn’t be swallowing! Worried about the costs associated with visiting a cosmetic dentist? The office staff at Gentle Smiles Dental can help you devise a convenient, comfortable payment plan for your dental work so that you can enjoy your new smile without worrying about the financial part. Need more information on any of the cosmetic procedures listed here. Call the office of Dr. Shelly Mixson, your Brookhaven cosmetic dentist, for more details.